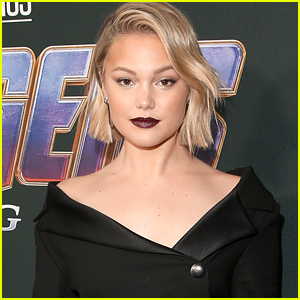 Kelli O'Hara, Stephanie Styles, & More Glam Up for 'Kiss Me Kate' Opening Night! 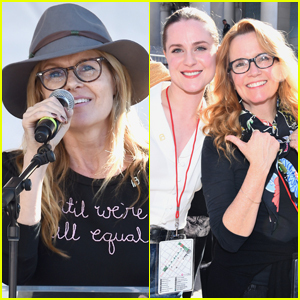 Ingrid Michaelson & Grace VanderWaal: 'Rockin' Around the Christmas Tree' Stream, Download, & Listen Now! Sara Bareilles Joins 'Waitress' Star Betsy Wolfe for Carnegie Hall Concert! Felicity Huffman & William H. Macy Honor Neil Pepe At Atlantic Theater Company's Directors Choice Gala! 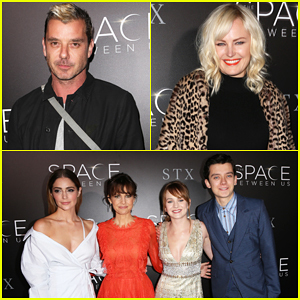 Gavin Rossdale & Malin Akerman Support 'The Space Between Us' Cast At Hollywood Premiere - Watch Trailer! VIDEO: Celine Dion Covers Sara Bareilles' 'Winter Song' Live in the Studio! 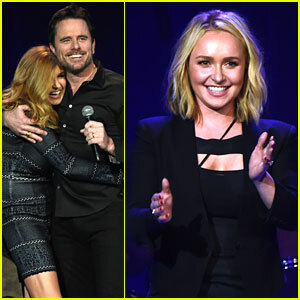 Hayden Panettiere & Connie Britton Lead 'Nashville for Africa' Concert! Taylor Swift's Celeb Friends Are Raving About 'Out of the Woods' - Read the Tweets!